As the the field of Democratic challengers to President Trump in the 2020 presidential election is taking shape, contributor Taylor Dame argues that a Democratic victory could lead to a radical turn in US foreign policy. The 2020 presidential election is almost eighteen months out but campaigning is picking up steam in the United States. There are currently twelve candidates announced in the Democratic Party, and more are expected to enter into the competition as the primary season draws closer. During the primary the various members of the Democratic Party will compete in all 50 states to become the one to face President Donald Trump in the general election in November of 2020. Among the candidates there is not much in terms of foreign policy experience, especially not in comparison to 2016 Democratic candidate Hillary Clinton, who had held the office of Secretary of State. Perhaps it is lucky for the candidates then, that foreign policy has historically been a minor concern for the American public in presidential elections. That being said, American foreign policy is not a minor concern for the worldwide public, and it is worth taking a closer look at the foreign policy platforms of some of the candidates. 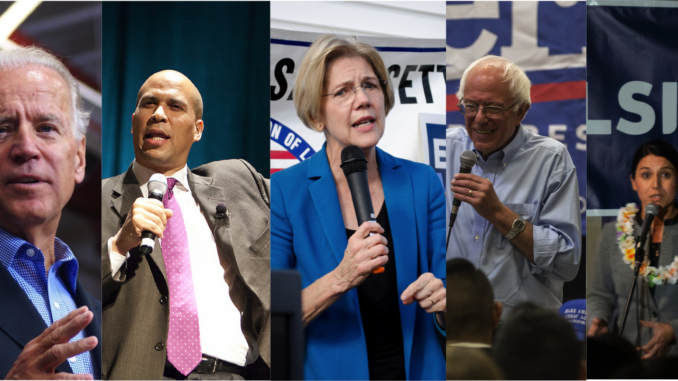 With many in the Democratic Party expressing deep disdain and contempt for President Trump’s policies it is almost certain that the Democratic candidates will support positions that are significantly different from his. In terms of foreign policy, that would mean committing to multilateral organizations and agreements, which Trump has disparaged or pulled out of. A Democratic president would probably seek to renew US interest in long-standing institutions such as NATO and the UN, and possibly rejoin agreements such as the Paris Climate Change Accord. Interestingly enough, the United States will officially withdraw from the agreement one day after the election in 2020. Democrats have traditionally favored multilateralism and that is unlikely to change regardless of who becomes the Democratic nominee. Other issues that are sure to arise are the United States’ bilateral relationships with neighbors like Mexico and Canada, and traditional allies in Europe and Asia like Germany, Japan, and South Korea. President Trump’s handling of these bilateral relationships has caused confusion, unnecessarily increased tensions, and induced panic. Despite that, many of the candidates agree that the United States is stretched too far and want to review overseas commitments and reduce spending. The Democratic candidate, whomever that may be, will almost certainly seek to mend these relationships and reassure traditional allies of the United States commitments. If he or she wins they may even engage in what critics called an “apology tour” similar to what President Barack Obama did shortly after taking office after George Bush in 2009. It is still early in the campaigning process and many twists and turns can upend the best laid plans in the rocky landscape of American politics. Most of the candidates are running on domestic issues with people like Pete Buttiegieg, Kamala Harris, Beto O’Rourke, and John Hickenlooper rarely mentioning issues of foreign policy unless they are criticizing President Trump’s handling of some issue. However a few of the more prominent candidates have at least part of a track record on foreign policy. While former Vice President Joe Biden has not officially announced his candidacy yet, he is widely believed to be running. Biden has a long record on foreign policy from his stint as Vice President and his time in the Senate on the Foreign Affairs Committee, a committee on which Senator Cory Booker is currently serving. 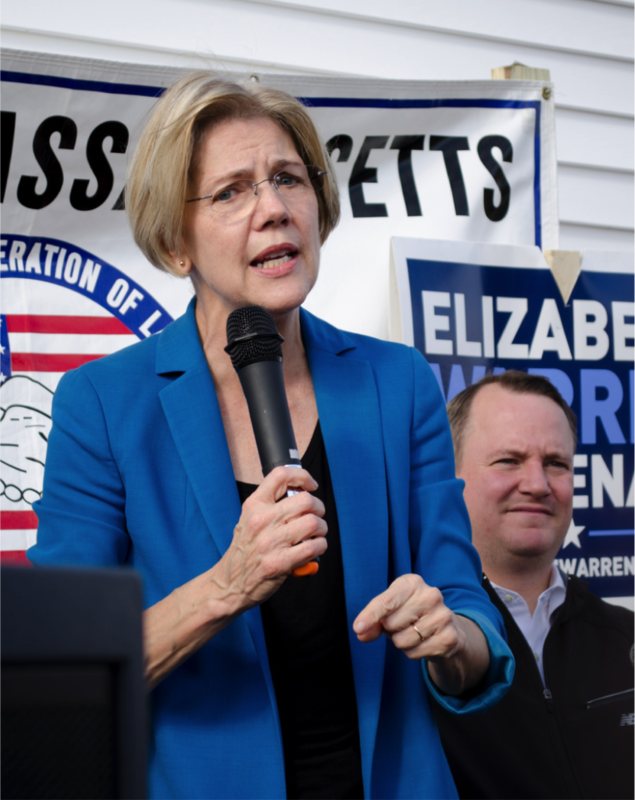 Senator Elizabeth Warren has sat on the Senate Armed Services Committee in a bid to beef up her otherwise thin foreign policy record, and she has outlined her foreign policy stance in an essay for Foreign Policy. 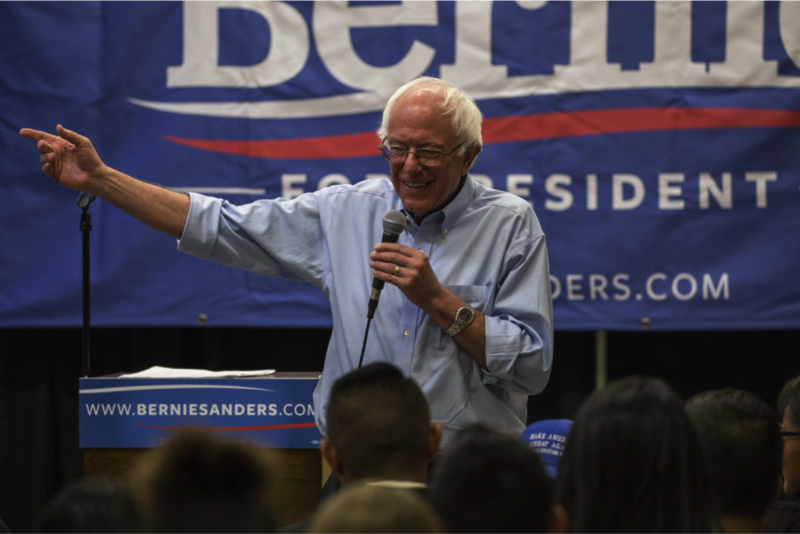 Senator Bernie Sanders has his record and policy positions from his last run in 2016, most notably was his continued opposition to the 2003 Iraq War. Congresswoman Tulsi Gabbard, probably the most radical of all candidates in terms of foreign policy, sits on the Congressional Foreign Affairs Committee. So what will the foreign policy platforms of these candidates look like? 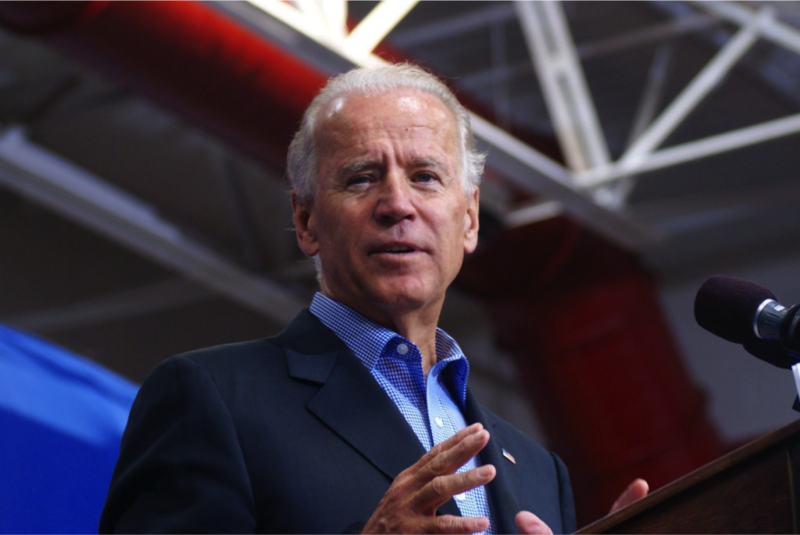 Biden is considered to be a mix of a pragmatist and idealist. He was a strong voice against the counterinsurgency plans brought to the Obama administration by the Joint Chiefs of Staff, arguing that they simply wouldn’t work considering the United States’ failed attempt at transforming Afghanistan into a democracy. Biden instead advocated for a toned down plan that focused on counterterrorism operations, used more special operations and drones to hunt terrorists, and rejected plans to impose democracy on the region. Biden also has what none of the other candidates have: a vast network of relationships in the international community. This network would give him a leg up in conducting foreign policy as he already has a foundation of trust with many people around the world. That could be important in the post-Trump era, as trust in the United States has dropped considerably across the world. Biden’s foreign policy credentials are beyond question. However, he will face attacks from the vocal progressive wing of the Democratic Party who will accuse him of being just another neoliberal, favoring the status-quo. 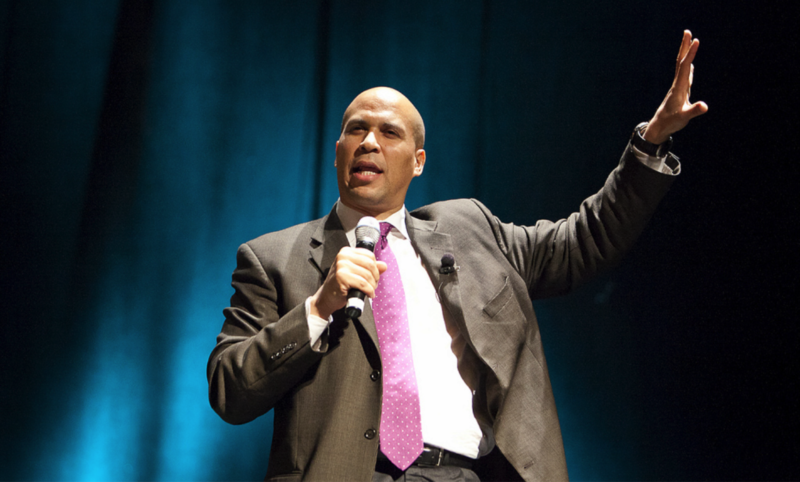 Senator Cory Booker has served in the Senate since 2013 and as a member of the Foreign Affairs Committee he has been involved in several foreign policy issues. On his senate campaign website Booker stresses his support of the United States’ relationship with Israel which has been a dividing point among the Democrats and could cause him some issues with the more activist members of the progressive wing of the Democratic party. More moderate members of the party tend to be more supportive of Israel, while the progressive wing has been outspoken in criticizing Israel for what they say are human rights violations, such as settlement construction in the West Bank. Booker also places importance on the relationship between United States and India. The importance of India to US grand strategy in Asia is felt by both parties. The Trump administration has been eager to foster the relationship as a check on China, as evidenced by the change in name of the United States Pacific Command to Indo-Pacific Command last year. On this point, Senator Booker agrees with Congresswoman Gabbard, who has Indian heritage and who has also worked on improving the relationship between the two largest democracies in the world. Senator Booker has also done bipartisan work in the fight against extremist violence which boosts his homeland security credentials, which may prove important as that topic will likely be a hot issue in the campaign due to President Trump’s struggle on constructing his border wall. The bipartisan aspect of Senator Booker’s work on these issues gives him a talking point that will resonate with general American voters, who tend to be supportive when the Democrats and Republicans work together on issues. Senator Warren has said that counterterrorism efforts by the United States have often hurt other priorities such as strengthening rule of law and support for human rights. She, like many others running for president, advocate reducing the focus on the Middle East to deal with other areas of the world such as East Asia, Russia, and South America. One of Senator Bernie Sanders weak points in the 2016 Democratic primaries was his lack of foreign policy experience or direction when compared to Hillary Clinton. He has gotten out ahead of this criticism this time by laying out his vision in a speech at the Johns Hopkins University School of Advanced International Studies. Sanders ties in themes of the struggle against wealth inequality and the economic elites into his foreign policy narrative. Like Senator Warren, Bernie Sanders wants a foreign policy that in his words “works for all people” and the two will therefore have to work hard to distinguish themselves from each other in both domestic and foreign policy. Some claim Senator Sanders wants to bring an end to the era of American exceptionalism and reduce American interventions abroad. He also highlights that his foreign policy is focused on the struggle against the rise of authoritarianism around the world. Sanders has labeled the leaders of Saudi Arabia, Brazil, and Israel as authoritarians and likened them to President Trump as leaders who hurt institutions and seek to divide people. If Senator Sanders enters the White House, the United States may be less likely to give a free pass to the authoritarian actions of these and other leaders simply because they are friendly to the United States. Despite this push to expand his foreign policy credentials with more concrete policy ideas and speeches than in the 2016 campaign, Sanders still struggles with critics who say he is “lacking” or “too idealistic” when it comes to matters of foreign policy. 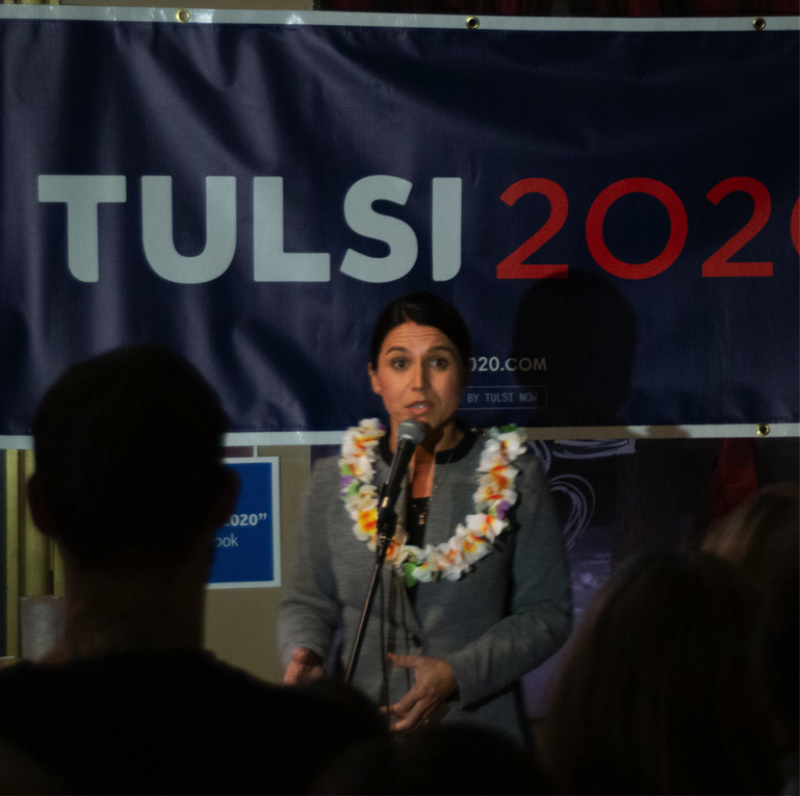 Congresswoman Tulsi Gabbard probably has the most radical foreign policy views of all Democratic candidates. She serves on the House Committee on Foreign Affairs and has taken the unorthodox campaign approach of putting great focus on foreign policy. A veteran of the Iraq War, the Congresswoman has been an outspoken critic of the United States policy in the Middle East. She has repeatedly voiced her distaste of American interventions and argues that they do more harm than good. She has been a vocal critic of American allies in Syria, and she has even visited Syrian President Bashar al-Assad. Her meeting was said by some members of the media to violate the Logan Act, which prohibits unauthorized individuals from negotiating with foreign governments that the United States has disputes with. Some others claimed that by meeting with President Assad she had granted him legitimacy and a propaganda tool to use against those who would say that he is no longer the legitimate leader in Syria. Her foreign policy positions have been criticized as supporting dictators and of being islamophobic. She has hit back at these detractors saying that she does not support Assad however, that the United States is not the world’s police and cannot continue to act as though it is. Despite these criticisms, her non-interventionist viewpoint is popular among some in the progressive wing of the Democratic Party and should she eventually go on to win the presidency it would represent a momentous shift in US foreign policy. No matter who ends up facing President Trump in November of 2020 it is clear that the foreign policy platform of the Democrats will be different from past presidencies. This election, the choice for the Democrats will be how far to the left the foreign policy shift will be. Options range from Biden who represents only a slight shift to Gabbard who would radically move US foreign policy away from the status quo. No matter who becomes the candidate, should they beat Trump we can expect multilateralism and other forms of cooperation with the rest of the world will play a larger role in foreign policy decisions. The last few presidential campaigns have shown that the American public is weary of foreign interventions and many activists in the Democratic Party have pushed the party and its candidates to adopt that position. Although the candidates represent a broad array of ideas, they seem to agree on at least one thing: the era of unilateralism and American exceptionalism is at an end. Taylor Dame is from Rhode Island on the east coast of the United States. He studied political science and public administration in his undergraduate program and currently studies international peace and security at Korea University Graduate School of International Studies.